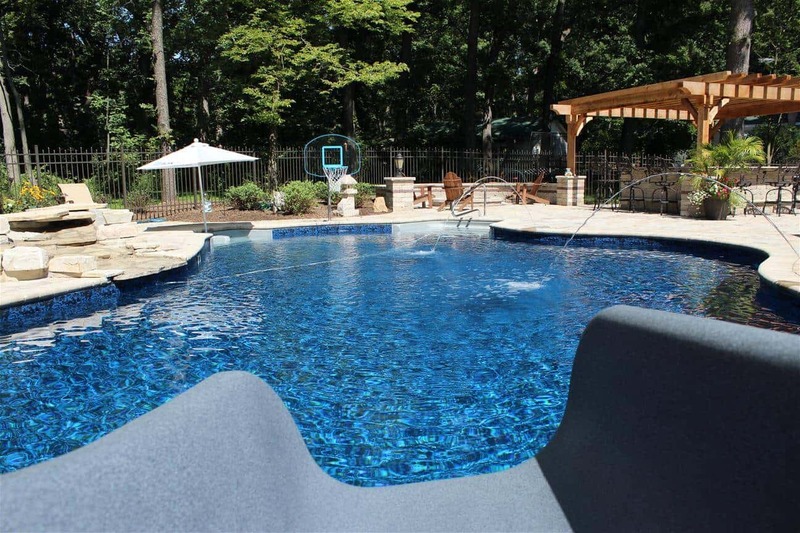 Favorite Big Green EggcessoriesWhy is Fall the Ideal Time to Renovate Your Swimming Pool? In the Fall, as temperatures outside start to drop, the pros at Aqua Pools get lots of anxious calls from pool owners worried that their pool is leaking. In the majority of cases, there is no leak! The water is simply evaporating at a faster pace than when the temperature of the air is higher, therefore closer to the temperature of the water. The fastest rates of evaporation usually happen when the air temperature is lower than the temperature of the water in your pool, such as in the Fall, when the pool water is hot from Summer and the outdoor temperatures begin to decline. Low humidity in the air also contributes to faster evaporation in pools. This phenomenon is also common anytime the pool heats up during the day and nighttime temperatures drop significantly. While there’s science behind this, the main question for homeowners is, “How can I know for sure my pool isn’t leaking and that the drop in water level is just from evaporation?” One simple, fast, surefire way to check is by using what we call the “Bucket Test”. The bucket test is designed to measure the rate of evaporation. The point is so you can see whether the pool is actually losing water at a rate faster than natural evaporation. So, you can know for sure if there’s a leak in your pool! 1. Inform friends and family that the pool is closed for a day. The bucket test won’t be accurate if people are splashing around. 3. Make sure your pool is filled to the correct level. Using the water from your pool, fill a 5-gallon bucket to 1 inch from the top. 4. Set the bucket on a pool step so that it is immersed about 5 inches into the water. 5. Mark the water levels, both inside the bucket and outside, in the pool. 6. Wait 24 hours. Then compare the water levels inside and outside the bucket. If the pool water level has dropped more than the level of water in the bucket, you probably do have a pool leak. 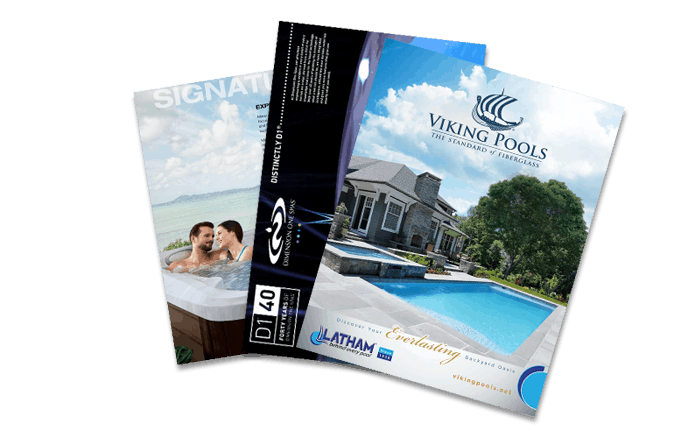 We’ve found that, in most cases, this test is enough to put pool owners at ease. If you still have questions, worries, or find that you do have a leak, give us a call at Aqua Pools so we can take care of the problem before winter sets in. You can reach our Homer Glen store at 708-301-9400 or our Worth store at 708-361-1000. Our, feel free to reach out for help through the Contact Us section of our website.